Thank you for your inquiry about upcoming AllStar Wings & Ribs® franchise opportunities. Completion of our Confidential Questionnaire will tell us about you. It is your first step to becoming an AllStar Wings & Ribs® Franchisee. Disclaimer: The following information does not form part of, or supplement, or otherwise modify, any part of the AllStar Wings & Ribs® Franchise Disclosure Document (FDD) that you will be given no less than fifteen (15) days before you sign a Franchise Agreement with us or pay any consideration to us for a franchise. The AllStar Wings & Ribs® Franchise Opportunity Package represents an estimate of costs and provides a summary of certain other details of our offering but does not represent actual costs and all of the details relevant to the development and operation of an AllStar Wings & Ribs® franchise. Nothing within the Franchise Opportunity Package in any way represents or is to be regarded as a grant or an offer of any rights granted for an AllStar Wings & Ribs® franchise. You may not be offered or awarded any rights for an AllStar Wings & Ribs® franchise. Complete the AllStar Wings & Ribs® Confidential Questionnaire / Application and send it into our franchise development group at the AllStar Wings & Ribs® Head Office. Start of the Interview Process and discussions with our franchise development group at the AllStar Wings & Ribs® Head Office to get to know one another and explore a mutual interest. Selection Committee Review of Application. Our Franchise Selection Committee will meet to review your application and completed file. Completion of the application process. Receipt of personal identification (Passport) and articles of incorporation, if applicable. A complete reference and background check – bank, personal credit and criminal checks and psychometric tests. Receipt of Franchise Disclosure Documentation (FDD): You may be invited to proceed with the franchise opportunity. You will be provided with a copy of our FDD. Complete Legal / Financial Review. You will be required to provide us with evidence that you have received independent legal advice regarding the Franchise Disclosure Document and franchise relationship in general. Franchise Agreement and Confidentiality and Deposit Agreement: Fifteen (15) days after receipt of the FDD, qualified and approved prospective franchisees may enter into the AllStar Wings & Ribs® Franchise Agreement and remit the Franchise Fee. If a prospective franchisee requires additional time to complete their due diligence, then prospective franchisees will be required to execute a Confidentiality and Deposit Agreement and provide a deposit in exchange for a further extension of the due diligence period of fifteen (15) days. Candidates may withdraw or have the application declined by the Franchisor at any time during the fifteen (15) day review period extension. At the end of the fifteen (15) day extended review period, candidates may withdraw or have the application declined by the Franchisor, or sign the Franchise Agreement. Complete Draft Business Plan. You will be required to complete a preliminary business plan, including cash flow projections. Registration: Business Name, Incorporation, Master Business Licence, Tax Numbers (provincial and federal), and Bank Accounts. Meet and Greet. This is an opportunity to meet with Head Office management and staff and discuss the results of your due diligence in more detail. Site selection and lease negotiations. Depending on local market conditions, securing a suitable location may take one (1) to eighteen (18) months, or more. The Signing of the Lease or Sublease. 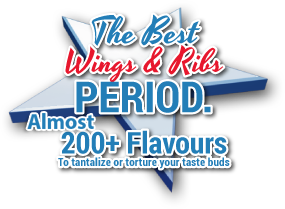 A – Training at the AllStar Wings & Ribs® Head Office and Restaurant Location for at least eight (8) weeks. Training will take place after the Offer to Lease has been finalised. B – Restaurant location design completion. Site design, engineering drawings, permits and construction can take as much as sixteen (16) to twenty (20) weeks, or more, from the execution of the Offer to Lease. Obtain Liquor License and any other required business licensing/registrations. A – Scheduling of tentative Training Date and Opening Date. B – Completion of franchisee training. 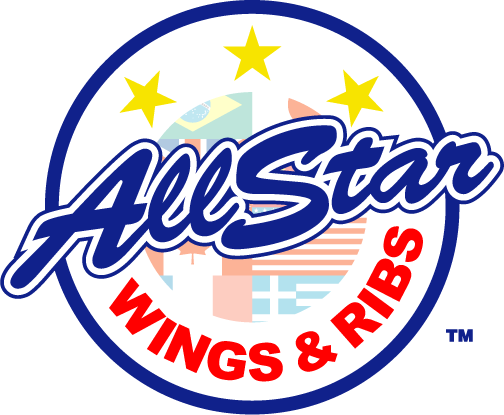 A – Work with AllStar Wings & Ribs® Head Office to build opening orders. B – Staff recruitment and training. C – Local marketing and advertising. Staff Training. AllStar Wings & Ribs® Head Office staff will work with you to train your restaurant staff, usually during the two (2) weeks prior to the restaurant opening. Restaurant Opening. A further two (2) weeks of training will take place “on-site” once the restaurant is open to the public.